Call us today to schedule your event! Our Artisian Pizza is made with natural ingredients and seasonal products from local growers whenever possible. 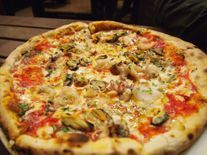 We make our own dough using Rock Art Beer and High Gluten Flour giving our wood fired pizza a unique taste. Our Pizza starts with our own homemade red tomato sauce, pesto or garlic & herb infused olive oil and is topped with a variety of fresh toppings and cheeses to create the most delicious pizza you will ever experience! 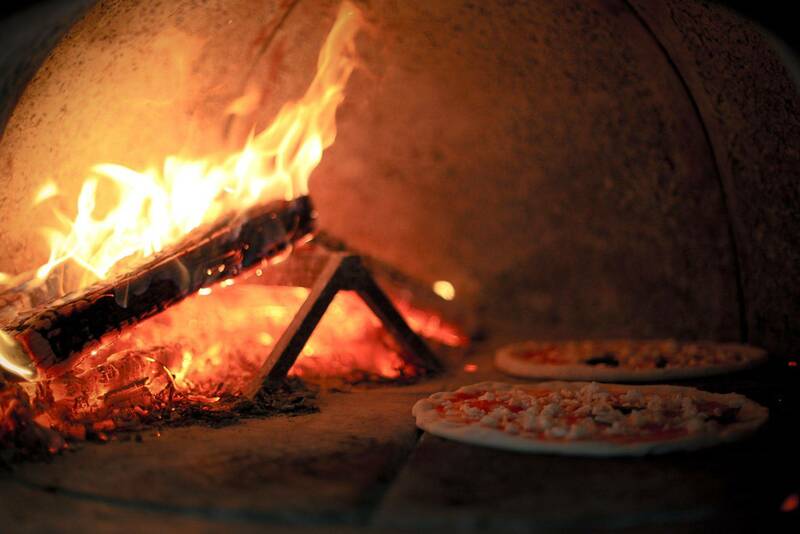 We use beach and maple hardwood and our Wood Fired Oven bakes pizza at 700 -800 degrees, producing a tender crust with a delicious flavor that only a wood fire can give. You can find us at local Farmers Markets, Music Festivals, Arts & Craft fairs, Community Group Events and Athletic Events. We can also cater your special event whether it be a birthday party, wedding, anniversary, engagement party, etc. You name it we will bring the oven!